You are a recent graduate from an upstanding university and you’ve got the student loans to prove it. Now what? You’re a barista at Starbucks. Nothing against the popular coffee chain; they’ve got some great lattes. However, in situation like this, the question raises itself as to whether the frequency of college grads in jobs like these represent a fault in our society? Or is it simply the way our society works now; college grads having to take jobs at Starbucks as they wait to take on the career they planned for after graduation? Whatever the reason this sort of job placement in this day and age, it’s leading to the frequent use of the term “underemployed,” a word that I’m not yet convinced society considers to be a phenomenon for us loan-ridden graduates. There is a reason of highlighting the lovely Starbucks. Ashton Kutcher, or Chris Ashton Kutcher as he pointed out, in his acceptance speech for the Teen Choice Awards Lifetime Achievement Award, argued the idea that underemployment shouldn’t actually be a thing. When asked about his speech in a later interview, he clarified his opinion, doubling down with the belief that no job should be beneath anyone, citing Starbucks jobs, specifically. The “That ’70s Show” alum also derided his friends who refused to take jobs at Starbucks or anything they deemed to be “below them. I think that the only thing that could be below you is to not have a job,” he said, with the audience erupting in cheers. Not to place Ashton Kutcher in any state of authority on the matter of “underemployment,” but let us think for a second about his statement. Is a job a job, in spite of how well you think it fits you standards? The fact is, while 80 percent of prospective college students say they go to college to better their job, only half of all college graduates are in jobs today that require a college degree. US News recently posted a “top college majors” list in which all of the majors they listed were based in at least one of the STEM industries; science, technology, engineering, and mathematics. The majors included more complex fields from Robotics to Petroleum Engineering to the obvious fields like Public Health. This may come as no surprise to most as we live in a technologically driven society. And while yes, it is quite important to have a strong science and mathematical foundation, liberal arts and creative degrees should not be discounted. In a recent article by Forbes, contributor Vivek Ranadivé argued the importance of actively practicing creativity. The people who will succeed in more expensive labor markets like the U.S. will be those that can think creatively and generate IDEAS that will propel economic growth. He emphasized that while understanding technology beyond a proficient level is necessary, it means nothing without strong right brain skills to compliment it. An Adecco survey revealed that many tech savvy, recent graduates of today lack the “soft skills” necessary to work in teams and function in corporate environments. These soft skills, including interpersonal communication, time management, and adaptability are all skills that get more focus in humanities as well as more creative majors. So, unless the major is job specific, like Petroleum Engineering or Robotics, is not necessarily a student’s major that determines their job. With this knowledge it’s clear that companies are really just looking for well-rounded applicants that have the critical thinking skills to handle what tasks that may come their way, which actually seems to be the problem. The Times emphasized the issue of finding well-rounded grads has led to a job shortage problem. The annual global Talent Shortage Survey from ManpowerGroup finds that nearly 1 in 5 employers worldwide can’t fill positions because they can’t find people with soft skills. There’s a lot to be said about our faulty economy for Generation Y graduates.For example, with many greedy employers aware of the state of our economy, grads are facing the consequences by being paid far less than they should be in entry level positions. “Employers are taking college grads over high-school grads, but paying them high-school grad wages,” Carl Van Horn, founding director of the Heldrich Center for Workforce Development at Rutgers University. said. But because of the shift in our economy students can’t just learn trades, but they must take advantage of their higher education to build all of their skills. It may be time for that 80% of college students that admitted they go to college to get better jobs to shift their focus to not just looking good on paper, but also learning and growing as much as they possibly can. Why not aim to heighten all your skills so that reluctant employers can’t help but stop and take notice? “College is what you make of it,” so the saying goes. It is arguably the best time in a young person’s life to better yourself- so why not take advantage of that? It’s tough to go into college without the nagging thought of your unknown future sneaking up on you and making you want to jump on that internship that would totally soup up your resume. I definitely didn’t take advantage of my college years as much as I could. I skimmed through a lot of classes and remember a fraction of what I “learned,” as I’m sure many recent grads can attest to. But from my research I’m convinced to really win against this struggling economy, it takes more than just going through the motions. I feel for you, recent-grad-Starbucks-barista. It’s hard out there. And you’re probably thinking your degree is useless.With so many grads earning minimum wages, the supposed benefit of attending college are so difficult to appreciate. However, truly, it still is.It just takes a little longer these days to reap the benefits. It is still the case that college grads earn more than 80 percent more than none college graduates over one life time. The beginning struggle to find a job is consistent with the state of our economy, but does not mean college is not worth it long term. Agreed, the state of our society when it comes to wretched student loans is ridiculous, but the long term benefits of scientifically proven better health to upward mobility economically are all reasons to continue to give it a good ole’ college try. Check out this video and join the debate! 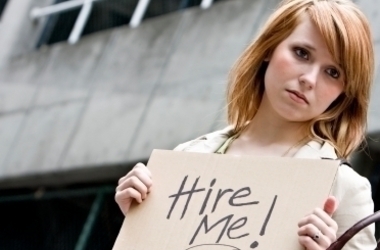 Is underemployment really a thing? Or is a job-a job-a job? Aw, I’m so glad you found it, as well! Thank you so much for reading!